Reflection Studios takes great pride in carrying forward the knowledge, techniques, and discipline for mastery of our craft. And, in significant ways, we are recognized for improving the quality of this work. Mouse over the images below for more information. The design dialogue generally begins with scale drawings and ends with a full size cartoon. 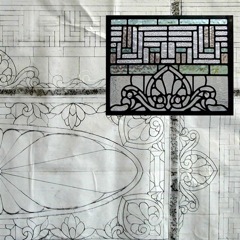 This image is a “mock-up”, which demonstrates the final glass selection and lead thickness. This is a detail from the completed master bathroom, Tranquility, Zephyr Cove. We also produced a reproduction of the dome over the grand staircase on the R.M.S. Titanic and the lay light from the Brooklyn Public Library. 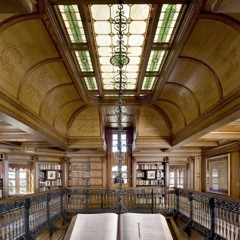 The art of stained glass involves harnessing and controlling the interaction of glass and light. 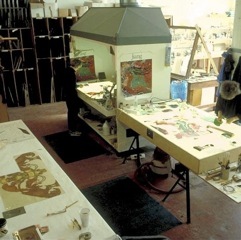 We use a multitude of light tables and light easels as we select, cut, and arrange the glass pieces which will compose our window. 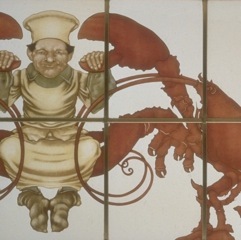 Here is a detail of the "Little Chef". 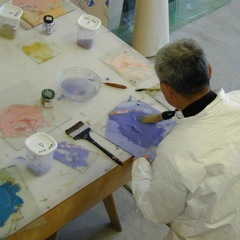 These images were painted and fired and painted and fired again as many as nine times to achieve this depth and detail. 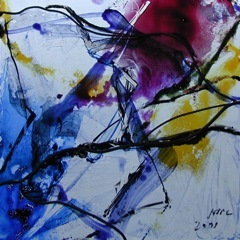 Fine art is as much about control of the medium as it is about artistic inspiration. No matter the brilliance of one's vision, its expression is dependent upon mastery of technique to make it "fine". 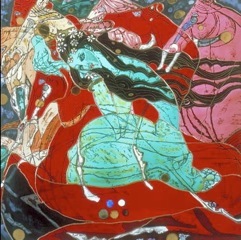 This is a detail of a contemporary window produced by the Korean/French painter Rev. 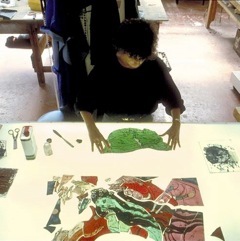 Pere Kim en Joong, while an artist in residence at Reflection Studios. In the tradition of all great Studios, we thrive on collaboration. Many works of glass art can be rendered through the traditional use of lead lines, the careful selection of colored glass, and skilled glass painting. However, other projects demand the attention to detail more common to the production of fine jewelry. Our version of Jiang Tie-Feng's Emerald Lady illustrates the vibrant interplay of art and technique. On commission from Alan Fingerhut and working from a gallery poster we were able to capture the drama and vibrancy of Jiang's riveting work. 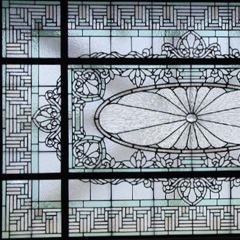 Since it serves as a part of the building fabric, leaded glass must not only bear its own weight, but must also serve as a weather tight barrier against resisting rain, wind, and extremes of temperature. The only way to achieve that is with superior materials and painstaking craftsmanship. 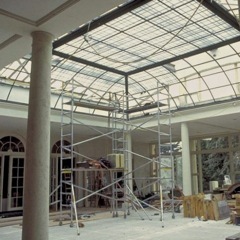 We design, engineer, fabricate, and install. We are licensed and insured. We do the same skilled work on the ordinary as we do on the monumental. Engineering hurdles and creative challenges are always welcome. 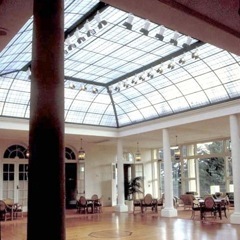 We installed this steel and leaded glass ceiling for the Garden Court lay light at the Olympic Club golf course in less than 5 days.